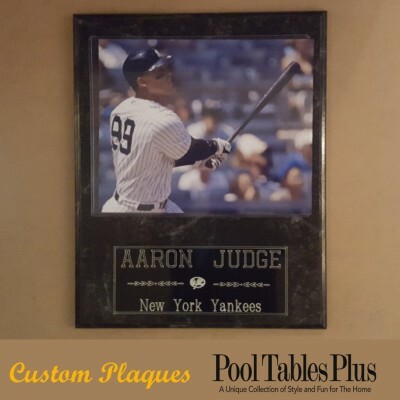 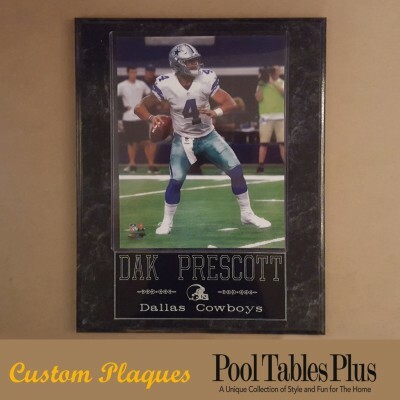 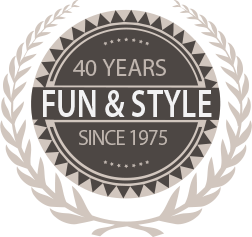 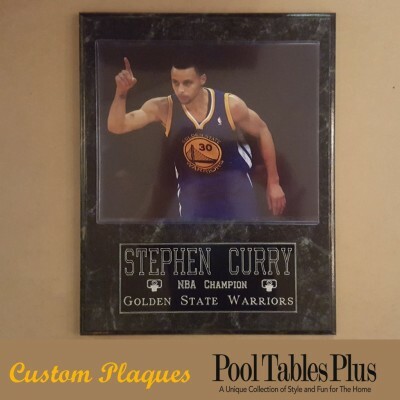 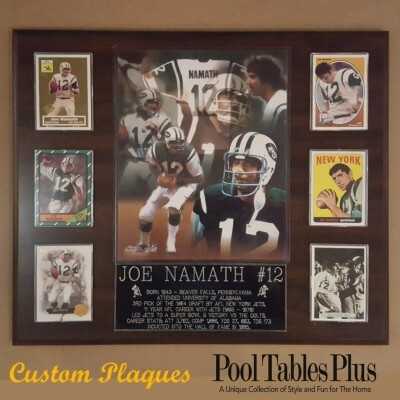 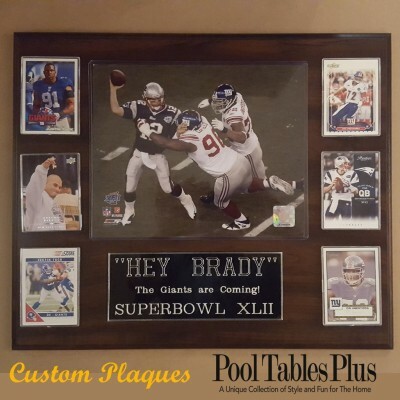 Our custom sports plaques are made in two sizes. 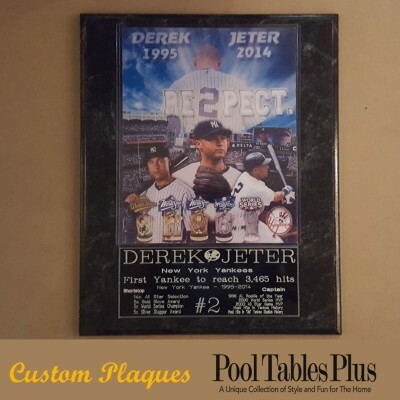 The individual player plaques are 12″ x 15″ in size and show the sport figure along with an engraved plaque. 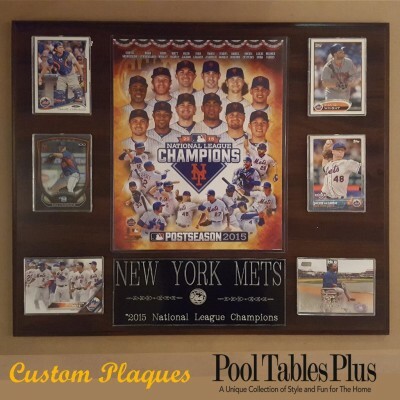 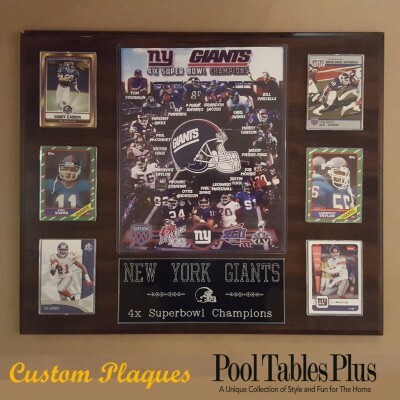 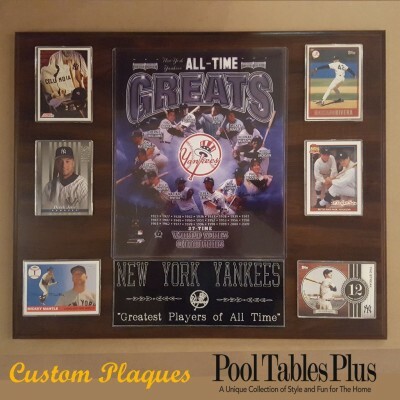 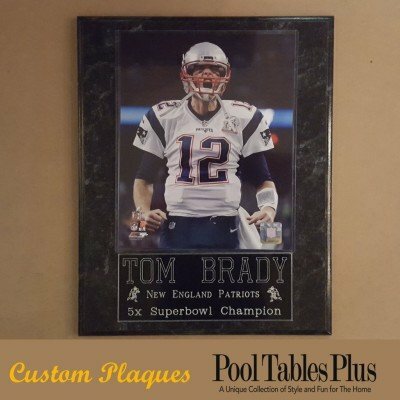 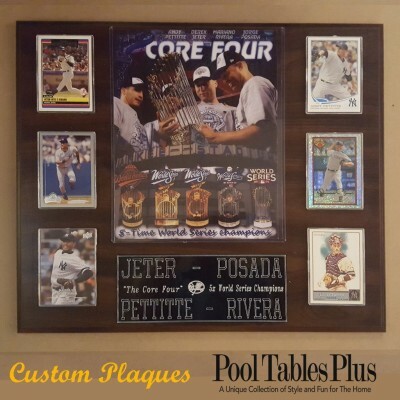 The larger 15″ x 18″ plaque has a picture of a team, stadium or individual surrounded by 6 cards and a custom engraved plate.